Articles tagged "Z A Novel of Zelda Fitzgerald"
Happy post-St. Patrick's Day Monday! I know, I know. I'm not actually all that happy about being awake either. So let's get straight into the good stuff going on this week. Good thing #1: Library Journal is hosting a totally rad webinar tomorrow at 3pm (EDT) that you must sign up for called "Editors' Picks: Hot Summer Titles from HarperCollins, Macmillan, and Random House." Details! Register! 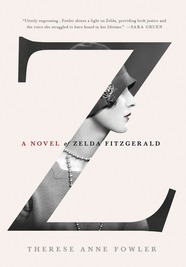 Good thing #3: You can start reading or listening to Z: A Novel Of Zelda Fitzgerald now on HeroesandHeartbreakers.com. This will help you get through your lunch break. 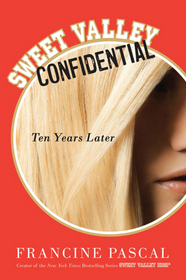 Good thing #4: You can finally get the Sweet Valley sisters on your claws (see below). I've already mentioned how excited I am for Z: A Novel of Zelda Fitzgerald by Therese Anne Fowler to hit your shelves in March just before Baz Luhrmann's film adaptation of "The Great Gatsby" hits the big screen in May. Well today's Maximum Shelf features Z, the semi-fictional, semi-biographical account of the fabulous adventures of Zelda Sayre. "Zelda was a product of all that she had learned and internalized. Being brought up as a wealthy and beautiful Southern belle was hardly the road to making a stand for herself. She didn't know the depth of her interest in the arts--writing, dance and fine art--until she became involved in each of them. She has been badly misrepresented as a person. I wanted to get her story straight." 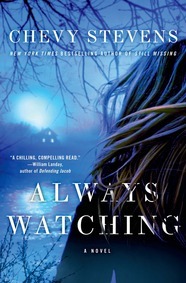 Read the full novel summary, review, and interview with Therese Anne Fowler on ShelfAwareness.com. And take a look at reading guru Vik all dolled up in flapper-wear (right)! Fine! I'll admit it. I've watched both trailers for Baz Luhrmann's new adaptation of The Great Gatsby a solid million times each. Those cars! That champagne! Those jewels! Those jams! And, of course, literature's favorite billboard featuring the creepy gaze of Dr. T.J. Eckleburg! As anticipation for the film rises I'm sure your copies of the original material will get more use than ever, but what stands up next to a novel like THE GREAT GATSBY? What read-alikes do you recommend to roaring readers that can't get enough of flappers and foul play? We recommend Z: A Novel of Zelda Fitzgerald by Therese Anne Fowler, the story of beautiful, reckless Southern belle Zelda Sayre and her scandalous adventures with Scott in the Jazz Age.